A movie that shook me all over! A rather matured movie from debutant Director Aiswarya R Dhanush… If the first part of the movie talks about immature love, the second half is more complex talking about a love that would never fade. These two shades are beautifully handled. We as viewers are made to travel along the timeline of the characters. We feel nostalgic seeing the lead characters going to school. We cannot stop ourselves from thinking about those good old days when we used to ride cycles and girls… Remember those long forgotten two plaits?? The movie outstandingly shows the evolution of each character. Dhanush aka Ram likes Sruthy Hassan aka Janani on first sight. When friends ask if that is love he genuinely says that it is only a time pass for the time being. From there, as time passes on, he becomes so insanely in love that he even gets ready to give up his life for her! May be because the director is a female that we get to see a very strong and real female lead! Her character is raw as real and Sruthy Hassan has done justice to her role. There are a few scenes where Director Aiswarya has amazingly projected the female psyche. I especially liked the scene on terrace during the first half of the film and the scene immediately following their marriage. 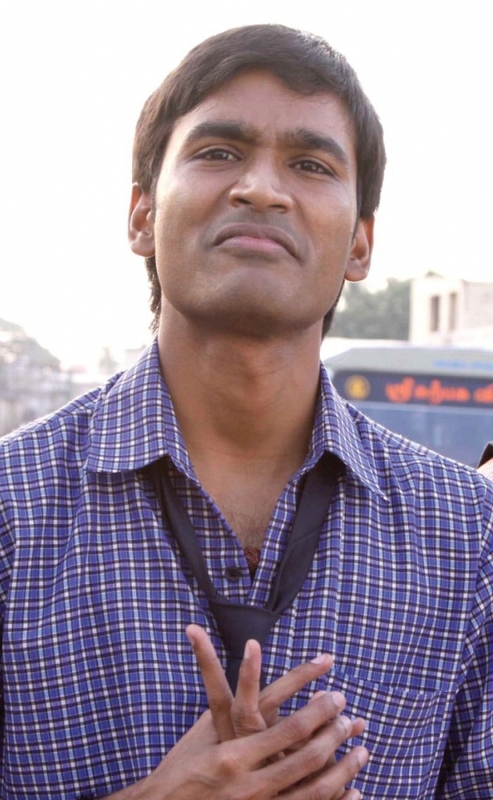 And I am spellbound to talk about Dhanush… He is a star! He is a gifted natural actor. His body language is genuine and his innocence makes the audience fall in love with him. He looks old for a school boy role; it seems unacceptable for us as too. May be because we know how he used to look at that age through movies like thulluvatho illamai. Yet, his body language convinces us. And a sculpted actor can be seen in Dhanush in the climax scene. Nobody but Dhanush can carry that scene so perfectly. The chemistry between the lead is just mesmerizing. And… Another aspect well narrated is friendship. Friendship between Ram and Kumaran talks about how a teenage friend goes beyond bounds to help his friend out in love. On the other hand, the friendship between Ram and Senthil is more matured and depicts the real need as well as meaning of true friendship – where nothing is expected in return. Also... The characters of parents portrayed in the film are not cliched. That further leads us to like the film. Songs has been a major highlight of this movie. So much has been talked about it that I have decided not to talk about it! The background score sets the mood for the movie. I fell in love with the music… Lyrics and Picturisation of Kannazhaga… Awesome!!! In short what is 3 all about? Aiswarya R Dhanush’s venture brings thye chistled actor from Dhanush and makes her Superstar father proud!!! And as far as Sruthy Hassan is concerned she cannot ask for a better defined character than this!! !